It’s the communications professionals who have failed social media. By not taking responsibility we’ve spoilt it for the rest. Traditional media has set an expectation. Journalists, from a huge variety of countries and specialties, are predominantly self-regulated. Yes, there are laws, and bosses, but mainly they police each other, quick to criticise a colleague who steps out of line – inside newsrooms globally, they argue with each other about standards and ethics, and so keep traditional media mostly honest. In contrast, it’s the PR and marketing folk who have not done the same for social: the variety of content writers from consumer PR, marketing, corporate affairs, government affairs (minders, etc) and more broadly anyone who contributes to the cacophony of voices on social media. Fake news is the extreme form of pretend news that’s been the dishonest norm for many in consumer PR, marketing and for PR people in government. How many PR people argue against it? 1%, 5%, not 10%? To be clear, I love the positives of social media: the smorgasboard of information and entertainment; the connectedness, the craziness, the vibrancy and the immediacy. I love having almost all the information in the world at the tips of my fingers. And while the negatives are major, I see the corrections as relatively minor. 1. Fake news: Fake news – political falsehoods – is the latest iteration of pretend news – content purporting to be true. This misinformation been standard fare for tabloid rags and women’s magazines for ages. The problem is when it’s issued on a grand scale, magnified virally, and more cleverly disguised on social media, it’s not recognised as fake. 2. The Echo chamber: people clustering with like-minded folk is not new either. What social media appears to do, ironically because of the magnificent choice it offers, is allow people to filter out diverse views. 3. Avoiding accountability: Trump is not alone as a politician in using Twitter to avoid the scrutiny to the media. Companies do it all the time. And you can bet this trend, uncorrected, is going to get worse before it gets better, partly as social media become more pervasive and partly as journalism continues its decline. 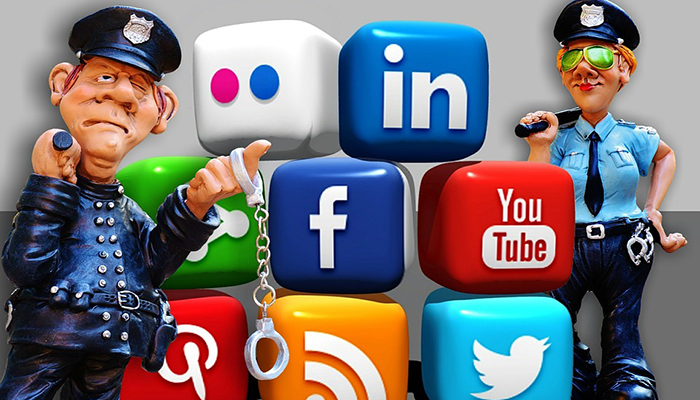 · companies have social media policies to guide staff, and again misbehaviour is disciplined. So families, community groups and governments can do the same. It’s public pressure that forced journalists to self-regulate. The public’s current expectation of media evolved over about 150 years – William Randolf Hearst spawned his controversial ‘yellow journalism’ in the US in the 1860’s. Public pressure over the following decades slowly led to today’s standards and ethics. Some of the changes were us exercising our buying power; some were groups of people (cities, organisations, clubs) rewarding good journalism and registering disgust at the bad; and there was government legislation. The public holds journalists to account; the journalists hold institutions to account. Is it so radical that the following becomes true? The public holds social media writers to account; social media writers hold institutions to account. I foresee a radical correction in social media possible within 2-3 years. All it takes is some extreme Trump-like incidents to take us beyond the tipping point. As communications professionals, what we can ask of ourselves and others? 1. Be sceptical: This is standard journalistic practice but it’s also what scientists are taught at school and university – test every claim. It doesn’t take skill; it takes a state of mind. Facts are stubborn: regardless of the strength of our opinion, they won’t budge. There are no alternative facts. 2. Seek trustworthy sources: there are organisations for which credibility is a priority. We know to trust medical/health advice from a government department or university ahead of a company flogging product. 3. Corroborate: We now have the opportunity, with a few clicks, to easily seek credible second opinions. 4. Make the distinction between facts, opinions and misinformation. The charter of newspapers is to provide us with news and investigations (facts and evidence), and commentary (opinions). We readers have learnt to make the distinction. Social media can be the same. 5. Seek a diversity of opinions: don’t get stuck in an ‘Echo Chamber’. 6. Think of unintended consequences before hitting ‘send’. · Public information campaigns built around the above. · If that fails, demand the social media giants, Google, Facebook, etc, hold to some of the same standards as traditional media outlets and bear some of the responsibility for what they publish. They’ve been caught flat-footed too. What proportion of waking time are teenagers spending on social media? 10%, 20%, 30%? How much time is devoted to educating kids on how to navigate this new reality?